Rotorua wedding packages in New Zealand take advantage of the many beautiful lakes. Rotorua is a perfect destination to elope with many scenic and cultural options. These include some of our personal favourites such as the Blue Lake, Lake Tarawera, Lake Okataina and Lake Rotorua. The exquisite blue waters, amazing cultural life and hundreds of volcanic geysers that shape this historic area of New Zealand won’t disappoint. It is one of New Zealands’ most popular wedding destinations. For good reason. 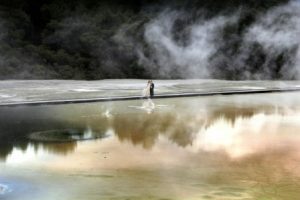 Why choose Rotorua for your wedding? We give you the answers. This is easily the cultural capital of New Zealand with many Maori activities you can add to your wedding day. If you want to add a Haka or ‘Maori Welcome’ to your wedding ceremony, this is the place to do it. Rotorua is only a few hours drive of the biggest city of New Zealand, Auckland. This means you don’t have to travel for hours to reach your fantastic wedding destination. It also has it’s own international Airport for your convenience and short connection flights for domestic travel. Rotorua Weddings will arrange your whole wedding day. Include some amazing attractions along the way such as Wai-O-Tapu thermal resort, hot springs, bungy jumps, fishing trips and even river rafting or jet boat rides. We are proud we can save you money leaving you more cash for a New Zealand adventure holiday. 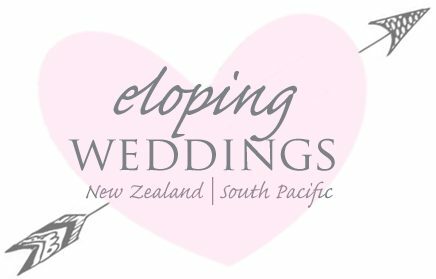 If you would prefer, Eloping Weddings can arrange your complete New Zealand itinerary. All the contacts to book your entire holiday including accommodation and any activities options you choose is easy with us. From 5 star boutique accommodation to heli-tours and scenic flights, this thermal wonderland really does have everything for the perfect elopement. Bridal bouquets and button hole. Contact us for an information pack complete with prices on all our wedding destinations. We have a variety of options to contact us for your convenience. Other areas you may want to consider that are close to Rotorua and worth seeing while you are here is Taupo, Mount Maunagnui and the Coromandel.